October is Pastor Appreciation month and many churches honor their pastor, his wife, and family in many and unique ways. The following comes from Revive Our Hearts website. Beginning on Monday, October 1, and each day throughout the month, we will be challenging you to pray for your pastor and his wife by posting a prayer guide. We hope you will join us in this life-changing challenge! A pastor’s wife is often in the shadow of the man who fills the pulpit every Sunday. it seems he has no friends. She loves and respects him, prays for him, and serves him. But who will listen to, encourage, and pray for her needs? congregation can give to their pastor is to pray for and care for his wife and family. ministry, and often struggle to balance their roles and responsibilities. health, and God will reward your efforts to cover your pastor’s wife in prayer. are praying for her. Ask her if she has specific prayer requests. If you want to encourage your spiritual leaders (and their wives!) let them know you are praying for them. Ask them periodically for any specific prayer requests and assure them you will pray accordingly. Use the following prayer guide with accompanying scriptures, to suggest practical ways to pray for those who provide spiritual leadership for the flock. Posted in Heartline, Needs of the Real World	| Tagged being still, quiet	| Enter your password to view comments. Posted in Heartline, Helpful Hints for Home	| Tagged cultivating spirituality, discipline, Raising children	| Enter your password to view comments. By now, we are into the busy fall schedule at our churches. We love summer and a time away, but it is good to get back into a routine. What new or perhaps old responsibilities have you taken on for this coming year in your church? Are you enjoying the work you are doing for the Lord or do you already feel like you are overwhelmed or in a rut? How many times do we decide to do something, try something new, or even do the same thing we have been doing for years without consulting God and His will for this ministry? We might wonder why a ministry is not effective. Could it be because we do not pray in advance asking the Lord to mold us into the ministry, to equip us by the Holy Spirit and to submit to His leading? Maybe we did pray but on such short notice that we did not give God the time to work answers in our heart. Perhaps what is lacking is a freshness and joy in our ministry from the very beginning because we started what seemed good to us rather than what was God’s will. Sound like something you are experiencing? Jesus says in John 15:5 “I am the vine, you are the branches. If a man remains in me and I in Him, he will bear much fruit; apart from me you can do nothing.” Here is our hope, our existence for life and our provision for ministry; it is Jesus Christ and Him alone. Is it not Jesus and His will upon which our ministries and we must rely? May we return Jesus to His rightful focus in our desire to serve and be the Master of our ministries. Posted in Check It Out, Heartline	| Tagged Book review, Prodigal Son, South Africa	| Enter your password to view comments. Protected: So, Here I am, a Pastor’s Wife?! Posted in Heartline	| Tagged gleaning, Truth	| Enter your password to view comments. Posted in Heartline, Words To Inspire	| Tagged live fully, love, Time, trust, wisdom	| Enter your password to view comments. It is here! The WMF Resource Manual is ready. Some of the WMF groups who attended WMF Day and Conference 2012 received their copies while there. 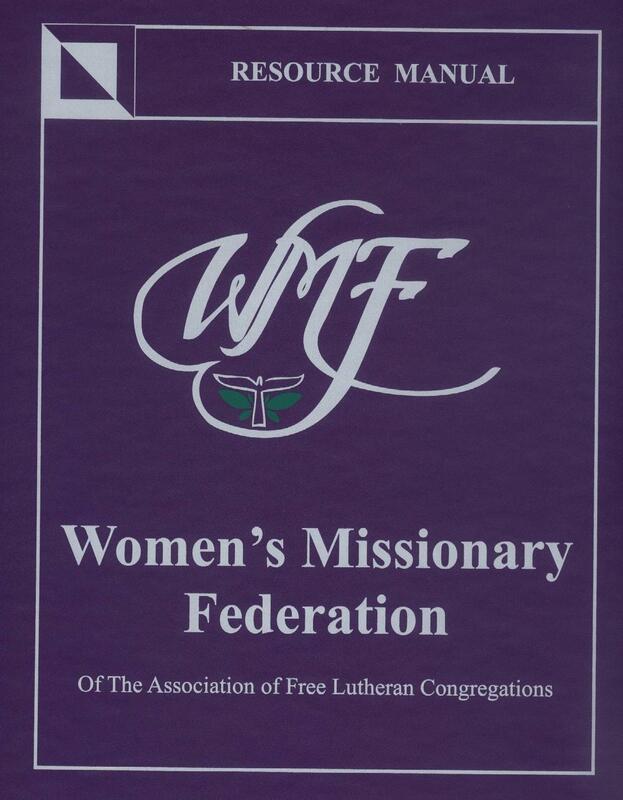 These Manuals contain all the information that you need as a WMF that is functioning or as a women’s group interested in getting a WMF started. It explains the set up and function of the WMF on all three levels (local, district and national) with other information on Bible study helps, women’s ministry and leadership development. It has project descriptions, missionary information and program ideas from which to draw. It also includes some history of how the WMF began and who has served as officers throughout the years. We hope to get the rest of the manuals distributed by the end of the year to those who didn’t receive their copies yet. The grant that we received did not cover all of the expense of the manual, so if your WMF group or ladies would like to give towards this project please send a donation to our treasurer Lois Grothe.